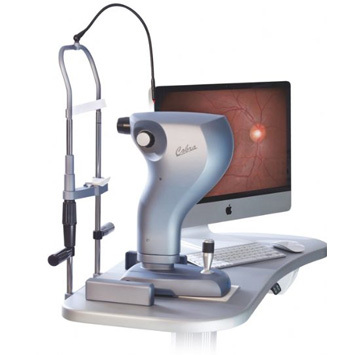 COBRA is the innovative non-mydriatic digital fundus camera that integrates every function required for easy retinal screening. Integrating an innovative imaging optical system, Cobra realizes digital fundus imaging of high resolution and fine gradation. 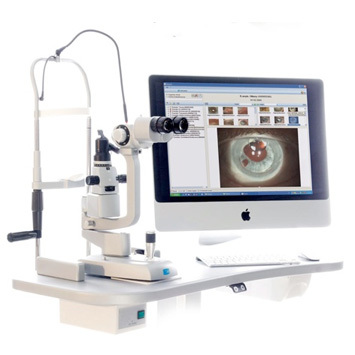 Ergonomically designed Cobra provides clear and detailed display of the entire fundus image at true 60 field of view. 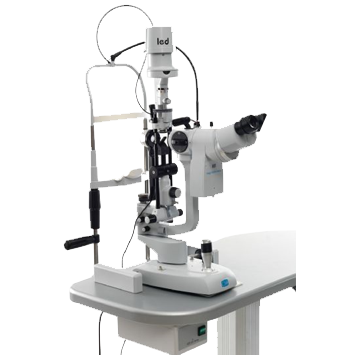 The system offers retinal photography with minimum flash exposure allowing quick and efficient fundus photography, thereby minimizing patient discomfort. Cobra shares the use of the high resolution CCD camera (2 MegaPixel) for alignment (IR illumination) and capture (White light flash). available in the version 2MP and with the new high resolution camera with 5MP. The SL980 is also available in the DIGITAL VISION version, with a digital beam splitter and the Phoenix software. The DIGITAL VISION System provides high performances for pictures and video acquisition, with a software with an examinations and patients database. The Digital Vision System designed by CSO is composed by an excellent digital camera with a Sony CCD sensor with a maximum resolution of 1392x1040 pixels. The system is able to acquire and save high-quality pictures and videos (with duration up to 3 minutes), by using a High Quality Color Correction Algorithm. Camera performances are maximized by using the Firewire technology, and an excellent software optimized for ophthalmic purposes. CSO provides the optimum quality/price solution.Thanks to modern software platforms used, the Phoenix software can work with more TCP/IP networked stations. The database can be shared with all the CSO instruments. The CSO SL990/9900 is at the top of diagnostic instruments market. Now the new SL9900 is available with the innovative LED illumination source, for a very comfortable examination with no heat emitted! The sharp mechanical design, the optical system with a high contrast and brightness, make it a leader in slit lamps all over the world. The column lighting system, that provides the tilt function, make it an unique instrument. Now available in the new digital version, with the new software for video and pictures acquisition from CSO digital camera. Available with 2X, 3X, 5X and Zoom magnifications.